The question is always asked, "Why was Gene Kelly in the right place, at the right time and with the right look and talent to move into Fred Astaire's shoes?" Donald O'connor came along later and was more of a straight hoofer. Bob Fosse had a unique style, but came along too late to fill any void. There were others, but they just didn't have Gene's face and portfolio of talent; Ballet, Tap, Jazz, Ballroom, Roller Skates and raw physical strength. When he landed on Broadway, he was a bit older and much more experience than other wannabes. He was 28. His protege on Pal Joey was Stanley Donen who was only 16. Gene and his brother, Fred, spent years on the "cloop" circuit performing, picking up new dance numbers and running his family's dance school. 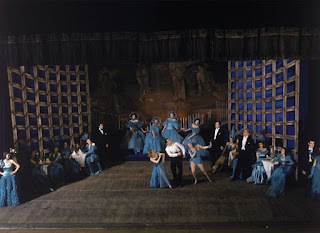 He also worked as a choreographer and acted as a dance doctor for many acts on the Vaudeville circuit. Almost immediately, his talent rose above his contemporaries and, after Pal Joey, Hollywood called. Fred Astaire was the reigning king of song and dance, but with a completely different style; one of top hats and tails. This was not to be Gene's style, but more a WWII every man, construction worker, wearing white t shirt, white socks and loafers. He dance strong, low and with an athleticism not seen before. He simply filled a void, not to compete with Astaire, but to compliment him. This video is a great example of how serious Gene took his craft. One quote stands out; "If you're not a craftsman, you don't belong in the business." The tagline Bold, Brilliant Brutal is too similar to mine to be a coincidence. I'm looking for a copyright infringement lawyer to help me with this. Looks like a good movie, but the creator and his PR firm stole the idea for their tag line from me. 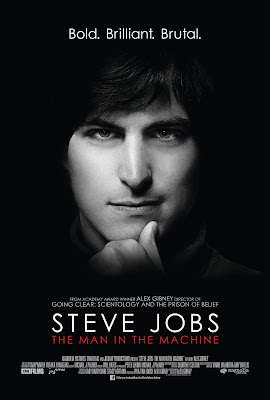 I’ve had a site Bold, Brash and Brilliant and am writing a book, partially about Steve Jobs, with the BBB alliteration for over two years and it’s copyrighted.http://www.boldbrashandbrilliant.com Now they use Bold, Brilliant and Brutal for their movie. What are the chances of this? I wrote Mr Gibney and he blamed it on the PR firm. 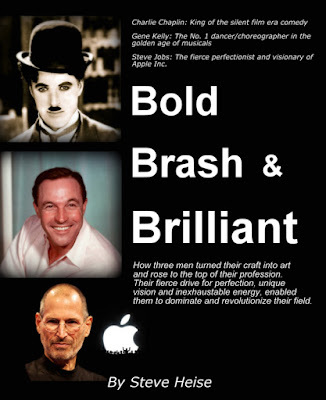 I have the copyright for Bold, Brash & Brilliant as it pertains to Steve Jobs. 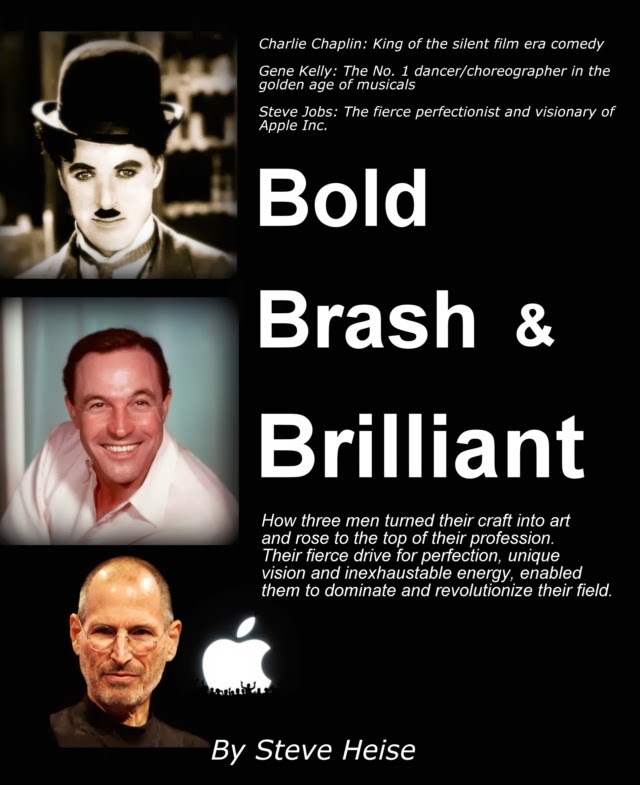 A book about the pursuit of perfection by three men, Charlie Chaplin, Gene Kelly and Steve Jobs. What commonalities and factors in their lives drove them to become obsessive control freaks in the quest to create a perfect product whether it be a movie, dance number or consumer electronic product. Chaplin, Kelly and Jobs were taskmasters in their work, ignoring virtually all outside influences in their desire to bring to life a perfect product in their chosen specialty. Chaplin obsessed about his movies to the point where he would require up to 300 takes for one 30 second scene to get every last nuance of emotion and synchronization of his movements and those of his cast. Gene Kelly would work himself and his co dancers relentlessly until a scene was what he envisioned and the steps were in perfect harmony with the music and each other. Steve Jobs would ask of his workers to create the best work of their lives over and over again as he bragged that they worked 90 hours a week and loved it. I have read and studied over 200 books, journals and watched interviews for Steve Jobs and all of the 140 movies of both Chaplin and Kelly to extract the genesis of their desire for perfection. This book will provide interesting and useful information with sometimes humorous anecdotes for people from all walks of life about the pursuit of perfection. This work is not intended simply for those people interested in the three principles, but more about relating common themes and examples of their work ethic, beliefs and how other factors led to their success. Through detailed research and evidence to more light-hearted moments about their lives and work, this book will explain how they became world famous, reaching the pinnacle of their craft. This book is full of interesting and useful information about a handful of pioneering and exquisitely successful, world-famous men. Their individual stories are part of our American culture and the American dream. Tales of rags to riches, hard work, timing and incredible perseverance in the face of seemingly insurmountable obstacles are detailed. Chapter 7 I’m on Top, Now What? Chapter 1 will deal with the early formative years of each person to include basic upbringing, seminal events, key friendships, lessons learned and the things, people and places that were the great influences in their later years and that all-consuming pursuit of perfection. Chapter 2 will detail the years of sweat equity for each person. Chaplin worked for 13 years on the stage in various forms before being discovered. Gene Kelly was a dance instructor/performer for 10 years before his break came. Jobs meandered through life, unsure of what he wanted and searching before finding the outlet for his passion to be realized. Chapter 3 will give the reader the thrill of the "big break" and show how each transitioned to the big time. It's amazing how being in the right place and time can make all the difference in a person's life. Chaplin in,1913, was chosen for his 2nd American tour in place of his brother, Sydney, to prevent the brother from being scouted by the movies. Gene just happened to be a perfect match for the new Broadway Musical "Pal Joey" in 1940 for Rodgers and Hart. Mike Markkula, a venture capitalist, drove to a garage start up to see about a new idea for a desktop PC and met an amazing young man, Steve Jobs, in November of 1976. Chapter 4 With the door swung open and the world at their feet, what gave them the idea that they could forge a new path, a paradigm shift or to even consider that they could take total creative control of their craft when so many others failed to convert this first success to a lifelong vision. The little things will be examined that continued the build-up of ideas and desires to build a better mousetrap, that perfect mousetrap. The key things, people and events that happened or were melded to build an empire. Chapter 5 looks at how the newfound fame and fortune affected each person. The key here is that neither fame nor fortune took control and quite the opposite actually occurred whereby they used that newfound fame and fortune to gain total control of their craft. Once they had the success, they pushed harder for perfection and really didn't care about the money other than that it was a tool to be wielded in the quest to have complete creative control. Where some men lose site of the goal when they are suddenly thrust into the spotlight or attain wealth, neither Chaplin, Kelly nor Jobs let it change their focus. Chapter 6 looks at each man's life after they made it to the top and how they handled the media. Chaplin became world famous before there was a "media" and was shocked at his success and popularity when he first traveled by train from L.A. to New York, being mobbed at every stop. Gene Kelly was popular with women, but not so much with men and worked to show the masculine side of dance in the post-war environment of the 1940s and 50s. Jobs had a love/hate relationship with the media and used it effectively to push his products with extravagant dog and pony shows, but also with smoke and mirrors. How did each man use their fame to its best advantage in their for excellence? Chapter 7 is more about being king of the hill and trying to stay there without being a flash-in-the-pan. Each man did struggle with producing a second act. Chaplin slowed down his frenetic pace, Kelly worked on technique and taking more control by directing and Jobs got fired from Apple and had to start again with NeXT computer and Pixar. Chapter 8 answers the question, "How does one build a world class team?" It also deals with the non-negotiables, methods, practices, character traits, obsessions, etc. that would attract and then keep a team of "A Players," who would take to heart the same drive and determination as their visionary leaders. Some key people stand out for each person and they devoted their lives to the same goals and passions as if they were their own. Good teams take time to build and old friendships sometimes suffered. What held these teams together and what broke them apart? Chapter 9 is all about loyalty to and from the leader to these team members and how it all ties together in achieving the desired goal of never taking the eye off the prize. The key to this chapter is that regardless of loyalty, those that could not produce were cast aside. The ability by the team members to produce excellence and their continued cult-like belief in their leader fostered the loyalty back and forth. Some key people fell by the wayside through these times. Chapter 10 chronicles the time when each man was in his prime with numerous successes and how they continued to produce the highest levels of perfection year after year. This is more of a follow up to Chapter seven's "I'm on Top, Now What?" theme. The second act fulfilled, how does anyone stay at the top for so long and, surprisingly, astound the world again and again with that perfect movie, iconic scene or revolutionary product. A revolution can't last forever or can it? Chapter 11 As much as Chaplin, Kelly and Jobs seemingly did not care about money, wealth did change them in non-stereotypical ways. In the case of Chaplin, he poured his money into his own studio and benefited greatly from the freedom that being an independent producer provided. He was the highest paid man on earth for a time. Kelly, being part of the studio system, did not get rich, but lived on Rodeo Drive in Beverly Hills and, for a time, his home was the big ticket place to see and be seen by the cream of the crop of Hollywood. He was the lead star of the Arthur Freed Unit at MGM. Steve Jobs was able to buy whatever he wanted, but only indulged in a few luxuries. He lived a simple life as a billionaire. Being a Buddhist, his passion remained his work and his vision. All three simply wanted to continue to produce quality at any cost. Money did allow that. Chapter 12 deals with work ethic, inexhaustible energy, pushing oneself as hard or harder than anyone else, expecting the best work of someone's life, working 90 hours a week and loving it. If being successful requires something more than just an incredible idea or vision, this chapter continues an exploration of the hard work of the early days outlined in Chapter two. Those lessons that you don't succeed at anything unless you and your team are willing to put in the time and effort necessary to see a vision to fruition. Chapter 13 explains and chronicles some of the personal costs of extreme success and the all consuming pursuit of perfection. Who got lost, ignored, left behind and frankly, treated like crap along the way in achieving each man's vision? In spite of everything each man ended up with a loving family, but it happened later in life than was typical. The early years of hard work, long hours and obsessive control left little time for anything but work. Chapter 14 moves into the eventual slowdown that occurs with age and declining health, loss of audience and fading popularity, Even though each man was active in the mind and wanted to go on, do great things and continue the quest for perfection of the next big thing, their age and/or illness finally wrestled away that which had been theirs for so long, that control they sought and perfected. Ackroyd, P. (2014). Charlie Chaplin: A brief life. Brownlow, K. (2010). The search for Charlie Chaplin. London: UKA Press. Chaplin, C. (1922). My trip abroad. New York: Harper & Brothers. Chaplin, C. (1960). My father, Charlie Chaplin. New York: Random House. Chaplin, C. (1975). My life in pictures. New York: Grosset & Dunlap. Chaplin, L. G., & Cooper, M. (1966). My life with Chaplin: An intimate memoir. New York: B. Geis Associates. Chaplin, M. (1966). I couldn't smoke the grass on my father's lawn. New York: Putnam. Fawell, J. (2014). The Essence of Chaplin: The Style, the Rhythm and the Grace of a Master. Jefferson: McFarland & Company, Inc., Publishers. Gehring, W. D. (2014). Chaplin's war trilogy: An evolving lens in three dark comedies, 1918-1947. Hale, G., & Kiernan, H. (1995). Charlie Chaplin: Intimate close-ups. Metuchen, NJ: Scarecrow Press. Hayde, M. J. (2013). Chaplin's vintage year: The history of the Mutual-Chaplin specials. Albany, GA: BearManor Media. James, E. (2000). Making music with Charlie Chaplin: An autobiography. Lanham, MD: Scarecrow Press. Kobel, P., & Library of Congress. (2007). Silent movies: The birth of film and the triumph of movie culture. New York: Little, Brown and Co.
Maland, C. J. (1989). Chaplin and American culture: The evolution of a star image. Princeton, NJ: Princeton University Press. McCabe, J. (1978). Charlie Chaplin. Garden City, NY: Doubleday. Milton, J. (1996). Tramp: The life of Charlie Chaplin. New York: HarperCollins. Neibaur, J. L. (2012). Early Charlie Chaplin: The artist as apprentice at Keystone Studios. Lanham, MD: Scarecrow Press. Ramsaye, T. (1986). A million and one nights: A history of the motion picture through 1925. New York: Simon & Schuster. Robinson, D. (1983). Chaplin, the mirror of opinion. London: Secker & Warburg. Robinson, D. (1985). Chaplin, his life and art. New York: McGraw-Hill. Schickel, R. (2006). The essential Chaplin: Perspectives on the life and art of the great comedian. Chicago: I.R. Dee. Schickel, R. (2011). Charlie Chaplin: A life in film. S.l. : New Word City. Tyler, P. (1972). Chaplin: last of the clowns. New York: Horizon Press. Weissman, S. M. (2008). Chaplin: A life. New York: Arcade Pub. Williams, G. (2005). The story of Hollywood: An illustrated history. Place of publication not identified: BL Press. Bingen, S., Sylvester, S. X., & Troyan, M. (2011). MGM: Hollywood's greatest backlot. Solana Beach, CA: Santa Monica Press. Blair, B. (2003). The memory of all that: Love and politics in New York, Hollywood, and Paris. New York: Alfred A. Knopf. FORDIN, H. (1996). MGM's greatest musicals: The Arthur Freed unit. Da Capo Press. Hirschhorn, C. (1985). Gene Kelly: A biography. Boston, MA: G.K. Hall. Kelly, G. (1958). Omnibus: A man's game. Knox, D. (1973). 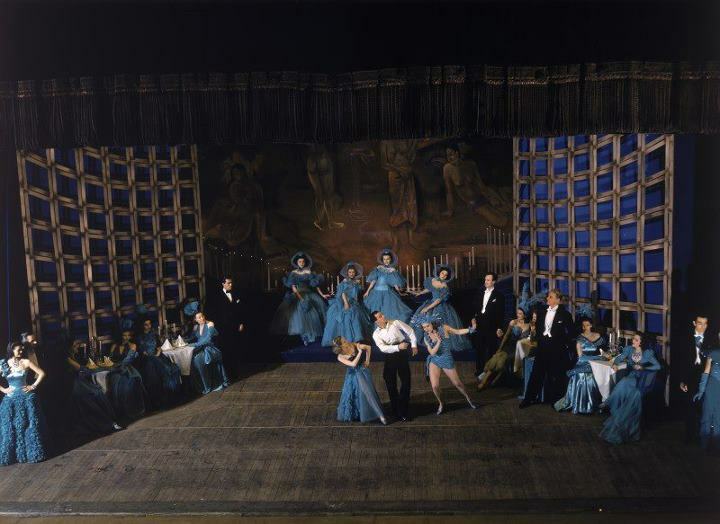 The magic factory: How MGM made An American in Paris. New York: Praeger. Morley, S., & Leon, R. (1996). Gene Kelly: A celebration. London: Pavilion. Silverman, S. M. (1996). Dancing on the ceiling: Stanley Donen and his movies. New York: Knopf. Thomas, T. (1974). The films of Gene Kelly, song and dance man. Secaucus, NJ: Citadel Press. Yudkoff, A. (1999). Gene Kelly: A life of dance and dreams. New York: Back Stage Books. Allen, P. (2011). Idea man: A memoir by the cofounder of Microsoft. New York, NY: Portfolio/Penguin. Apple Computer, Inc. (1994). Inside Macintosh. Reading, MA: Addison-Wesley. Freiberger, P., & Swaine, M. (2000). Fire in the valley: The making of the personal computer. New York: McGraw-Hill. Hertzfeld, A., & Capps, S. (2005). Revolution in the valley. Sebastopol, CA: O'Reilly. Isaacson, W. (2014). The innovators: How a group of hackers, geniuses, and geeks created the digital revolution. Jobs, S., & Beahm, G. W. (2011). I, Steve: Steve Jobs, in his own words. Chicago, IL: B2 Books. Kahney, L. (2013). Jony Ive: The genius behind Apple's greatest products. Kane, Y. I. (2014). Haunted empire: Apple after Steve Jobs. Levy, S. (1994). Insanely great: The life and times of Macintosh, the computer that changed everything. New York: Viking. Levy, S. (2011). In the plex: How Google thinks, works, and shapes our lives. New York: Simon & Schuster. Schlender, B., & Tetzeli, R. (2015). Becoming Steve Jobs: The evolution of a reckless upstart into a visionary leader. Wozniak, S., & Smith, G. (2006). IWoz: Computer geek to cult icon : how I invented the personal computer, co-founded Apple, and had fun doing it. New York: W.W. Norton & Co. The book will be around 85,000 words or about 325 to 350 pages (including notes and bibliography), I need help with illustrations. I own the copyright to BoldBrashandBrilliant.com www.boldbrashandbrilliant.com and I have a duplicate blog on Google, Blog with nearly 10,000 visitors. I expect the book to be completed by 1 Sept 2015. I need help with illustration/photographic copyrights as I would like to include some pictures, although this is not a purely biographical book as are most of the competition. This book is an information text of a biographical nature, but also a study of people, management styles and obsession to the point of being a control freak. I can easily see the book being the basis of a documentary about the pursuit of perfection and how these three men went after their dream. Because Chaplin, Kelly and Jobs are world famous, the international market would be perhaps stronger than the US market. Chaplin was the first world famous person of the modern age. Due to the nature of silent movies, his humour translated into all cultures across the globe. Gene Kelly was also known worldwide during his heyday. In the 1960s, while doing an African mission for the State Department, he was surprised that people in the most remote parts of the continent knew who he was and were familiar with his pictures. Of course, who doesn't know Steve Jobs? With Apple being the most valued company and the most valuable brand on the planet, our lives have all been changed by this amazing man, his vision and his products. While there have been 600 books written about Chaplin, over a dozen books about Gene Kelly and dozens of books about Steve Jobs, most of these were biographical in nature with chronological formats that go over most of the same birth to death material as the others. Numerous in-depth studies in journals have been written about Chaplin's humor, cinematic skills and excruciatingly detailed studies of each movie or scene, but very few have actually chronicled what it was that made him a perfectionist and his work habits. Gene Kelly's biographies have been just that and not much more. He has also been studied by film school students and dance experts in numerous theses and dissertations, but again, little mention of his work habits and control issues have been discussed. Books about Steve Jobs deal more with personality quirks and his management style, but no book about what it was that formed his fanatical obsessive nature has been authored. I've been a teacher, distribution center manager for a fortune 20 company, Air Force Captain (veteran of the Gulf War), and avid reader of biographies. I have two Masters Degrees, two dogs, one wife and four step children in college. One of my step children is a Google Intern. Bold, Brash & Brilliant Copyright 2013. Picture Window theme. Theme images by rami_ba. Powered by Blogger.